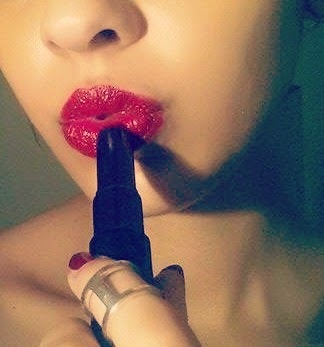 FEM: Fashion.Energy.Music: #7 The Pulp Fiction Ultra Limited Edition Makeup set: review. 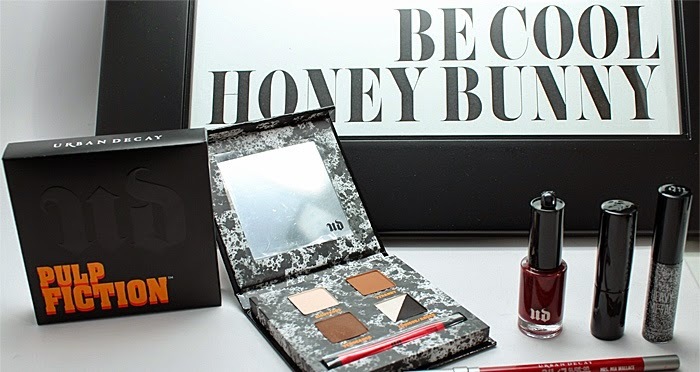 #7 The Pulp Fiction Ultra Limited Edition Makeup set: review. The collection is based on the iconic Mia Wallace who is known for her dangerously blood red Chanel lipstick think speaker-com and doing the twist in a 1950’s diner with John Travolta. First up is the £15 lipstick. When I applied it I found that it’s not so much blood as it is a classic red. I actually prefer this colour. It’s rich, creamy and nourishing on my lips and doesn’t dry out or bleed. This is the first revolution lipstick I’ve tried and I’m already a big fan. Plus it's long lasting 6/7 hours and I found that I only had to reapply to my inner lips. It comes in a black version of the original gun metal case. 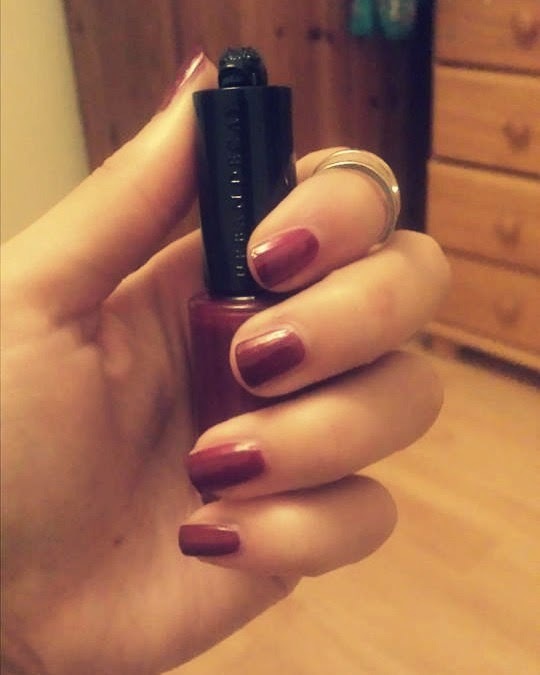 Secondly the £10 nail varnish to match; also named Mia Wallace is a deep red hue with a high shine effect and perfect for the winter and autumn months. I personally prefer the glossy effect it has than the described shimmer one. All in all I was very pleased with the ease and preciseness of the applicator and with the strength of the polish. It only took two coats and top coat to create a professional look. If you’re an Urban Decay fanatic or a die-hard Pulp Fiction fan this set is a collectors dream… from the little boxes they are packaged in which have quotes from the film written on and blood spatters with the iconic yellow 80’s style writing it's pretty cool and well worth the pennies. I want to complete my collection so roll on loan day, sooner than later please, this collection is limited in Selfridges and Debenhams!